Governments can do more; women need to be equal partners in society to be equal participants in work. The economic and business case for aggressively pursuing gender equality is overwhelming. Doing so would boost global growth - significantly. Evidence is also mounting that having more women in senior management positions is positive for the bottom line. It is therefore a huge waste of potential talent - as well as a social injustice - that gender inequality remains so high in countries across Asia. Despite the fact that women make up around half of the graduates in many Asean countries, there are only 30 women per every 100 men in leadership positions on average. Even in Europe, a rising number of women graduates has had only a marginal impact on their representation in business. This suggests that the key lies in addressing cultural and organisational issues in companies that are preventing women's progress. If women were to participate in the world of work identically to men, an additional US$28 trillion (S$38 trillion), or 26 per cent, of incremental global gross domestic product (GDP) could be achieved in 2025. That is roughly the combined size of the economies of the United States and China today. As much as US$12 trillion could be achieved in this timescale if countries were to match the country in their region that has made the fastest progress towards gender equality in work, McKinsey Global Institute (MGI) research has found. Asean countries could add US$1.2 trillion of GDP to their economies, 30 per cent more than would be the case without action on gender inequality. Closing the gender gap in only 10 years is not realistic, particularly given that working is a matter of personal choice for women. But even in an alternative, more achievable scenario in which all countries were to match the progress of the best-performing country in their region, the economies of Asean could add US$400 billion, or an additional 9 per cent, to their GDP. All the evidence shows that women need to be equal partners in society for them to be equal participants in work. MGI's Gender Parity Score, or GPS, sheds light on 15 economic and social indicators of gender equality, measuring the distance that 95 countries (home to 93 per cent of the world's female population and generating 97 per cent of global GDP) have to travel to reach gender parity. The GPS shows that there are virtually no countries that have high equality on social indicators but correspondingly low equality on indicators related to the economy and work. 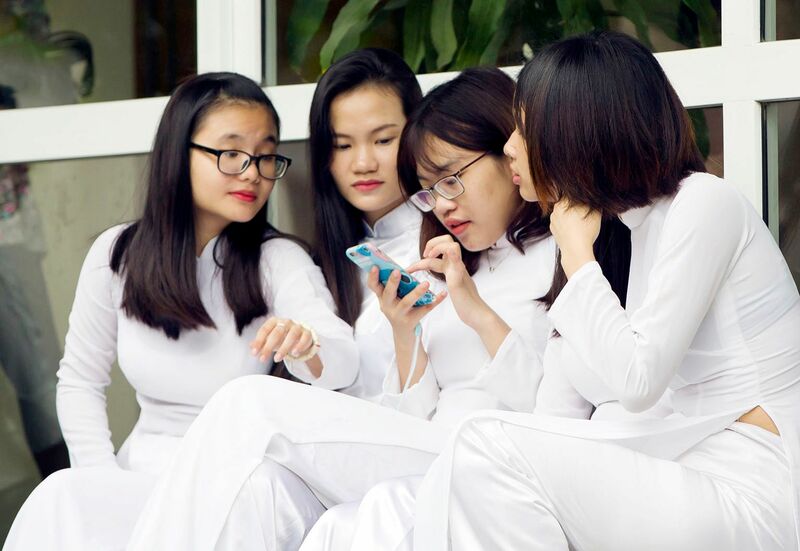 Overall, the GPS of Asean countries is in the middle of the global pack, but Asian economies vary hugely in social mores and economics, and the picture is far from uniform. Take the share of unpaid care work undertaken by women as an example. Women in Cambodia, Japan, and South Korea do between four and six times the unpaid hours as men; in Thailand, the figure is around two times. On the representation of women in business, Asean countries have extremely high inequality with the exception of the Philippines. Inequality in political representation is extremely high across the board. Economic development enables countries to close gender gaps, but progress in four areas in particular - education level, financial and digital inclusion, legal protection, and unpaid care work - could help accelerate progress. Women in emerging economies have on average 84 per cent of the access that men have to Internet and mobile services. In South-east Asia, MGI estimates that 49 per cent of women are excluded from financial services. The two are linked - the more access to Internet and mobile services that women have, the easier it will be for them to obtain financial services. Digital finance could give 1.6 billion individuals access to a financial account for the first time, and 880 million of them would be women. Legal provisions outlining and guaranteeing the rights of women as full members of society have a beneficial impact on several social indicators, including violence against women, child marriage, unmet needs for family planning, and education, and are also linked to rising labour-force participation among women. There is much to do. According to the Women, Business, and Law database, married women in Myanmar and the Philippines, for instance, cannot apply for a passport in the same way as a married man. Widows in Malaysia and Indonesia do not have equal inheritance rights as widowers. But, there are enlightened policies too. For instance, discrimination against women accessing credit is prohibited in the Philippines and Vietnam. Time spent on unpaid care work could be streamlined through better provision of infrastructure and public services, converted into market-oriented jobs, or more equitably shared between household members, boosting female labour-force participation, the hours spent by women on paid work, and their ability to undertake more demanding roles in the workplace. Childcare provision is an important support for women who wish to work. In the Philippines, public childcare centres are subsidised by local or national governments. In South Korea, subsidies for childcare were increased in 2015. Many of the interventions required to close the global gender gap are the natural responsibility of government - from removing legal barriers to women entering the workforce to providing basic services in a gender-friendly way, including, for instance, safe transport, and sanitation facilities for girls in schools, or establishing special courts to handle gender-based violence. But companies can do more than they have done to date both within their own operations and among suppliers, distributors, consumers, and communities. But companies can do more than they have done to date both within their own operations and among suppliers, distributors, consumers, and communities. They can develop women's skills and capabilities through vocational training, help provide financial support for girls to develop their science and maths skills, and invest in digital infrastructure such as mobile apps targeted at women entrepreneurs or offering maternal health advice to women. Companies should regard gender parity not as a cost but an opportunity. Gender initiatives can deliver significant benefits for organisations in a myriad of ways, from expanding and enhancing their own pools of talent to improving their understanding of their female customers. Across East and South-east Asia, women fall well short of economic and social parity with men. Yet achieving parity for women and men offers very significant economic as well as human and social benefits. There is a compelling case for new coalitions between governments and companies that push for more aggressive change. Only by including women in the equation will the region truly fulfil its potential. Anu Madgavkar is a partner with the McKinsey Global Institute, based in Mumbai; and Oliver Tonby is the managing partner at McKinsey & Company in South-east Asia, based in Singapore. SEA View is a weekly column on South-east Asian affairs.